Ultra Premium Adult Dog Food Available! 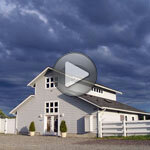 Resort Gourmet Dog Food EXCLUSIVELY at The Co-op Farm & Garden! Due to your overwhelming requests, Dungeness Ranch is pleased to announce that the new EXCLUSIVE retailer for Resort Gourmet Dog Food in Sequim is The Co-op Farm & Garden located in the heart of Sequim! Brown Rice & Potato Flour - NO GLUTEN! All Life Stage Food Now Approved For Puppies! 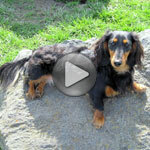 For retail locations in your area, email us at: DungenessRanchPetResort@Yahoo.com. We can also ship directly to your door! Did you know that the ingredients in other dog foods including foods that claim to be "natural" or "holistic" are the root cause for many common health problems among dogs? Everything from skin irritations, dry coat, listlessness, upset stomach and diarrhea just to name a few. Resort Gourmet does not contain ANY irritating or gimmick ingredients. Other so called "holistic" foods add fish or fish oils. Have you ever notice how bad the food smells when you open the bag? The "fish" used is probably unfit for consumption and spoiled. Additionally dogs are highly allergic to fish based products. A vast majority of dogs will get diarrhea and/or vomiting from foods containing fish products. 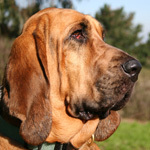 Another ingredient that is widely held as healthy for dogs is garlic. Garlic is in fact toxic to dogs. Extensive veterinary studies have proved this and yet many "natural" and "holistic" foods add garlic. We also do not advocate "Grain Free" foods. This is simply a marketing gimmick used by dog food companies to ride the coat tails of the popular "Atkins Diet" for humans. There is no basis in fact that this type of diet results in any health benefits in dogs. Healthy dogs need carbohydrates for energy. Improve your dogs" health quickly and easily by feeding Resort Gourmet Ultra Premium Dog Food! 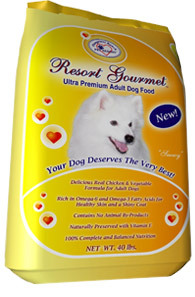 Resort Gourmet Ultra Premium Adult Dog Food is also approved for puppies! Approved by AAFCO and the FDA, simply follow the puppy feeding guidelines on the back of the adult dog food bag to see how easy it is feed your healthy, growing puppy our all natural food. Prevent health problems NOW by feeding Resort Gourmet and give your puppy the best start possible. 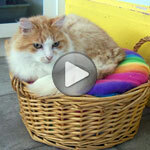 Hassle free- no need to transition from puppy food to adult!